When you shoot textures, shooting them up-close is ideal. Always review your shot on the LCD screen. Zoom-in and check if there is decent sharpness in the photo. If not, take another shot. 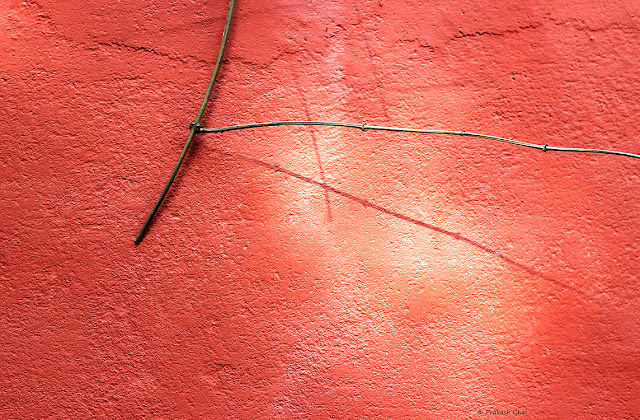 It may look simple to shoot but sometimes you may struggle to get simple texture shots sharp, and to make them display the colors accurately. This becomes a challenge, especially in harsh sunlight. Check the angle of light. 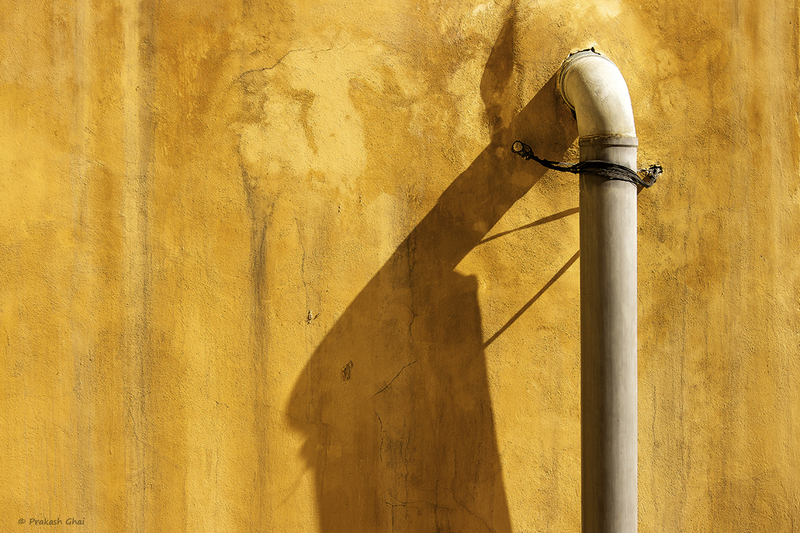 Make sure it falls diagonally around 45 degrees on the wall or else pick a different wall. The shot above is low resolution and as a regular practice the higher resolution without watermark shots are uploaded to my Pixels.com sales gallery. You can buy the Full Size image by clicking the "Buy Now" link under the photo. Hope you enjoyed the shot. If you too have some Minimalist texture shots, please post a link to them in the comments below. Wish you all a nice day. 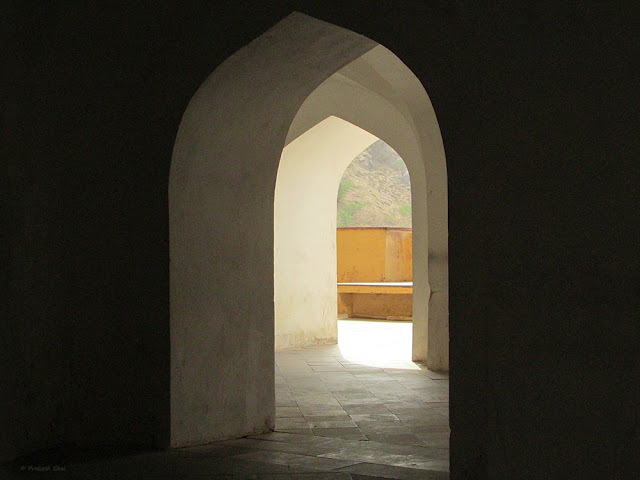 Greetings from Jaipur, India. 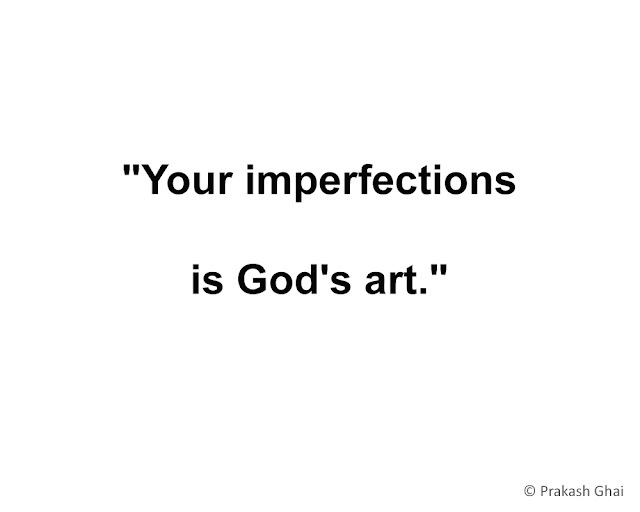 1) "Your imperfections, is God's art." 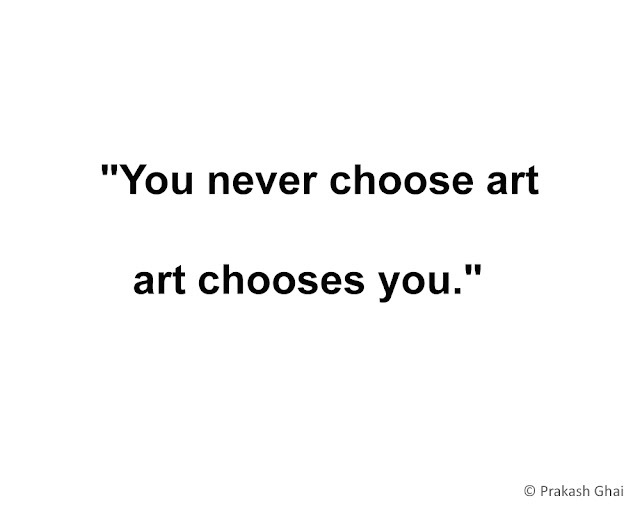 2) "You never choose art, art chooses you." 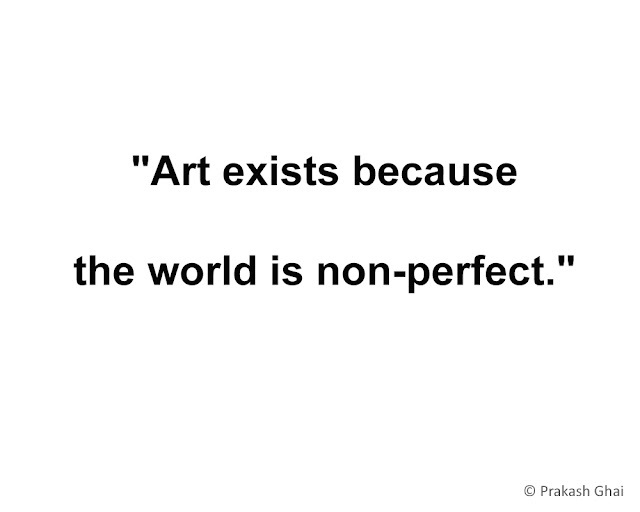 3) "Art exists, because the world is non-perfect." 4) "Every artist, is both a teacher and a student." 5) "Art heals, both the creator and the viewer." 6) "He who knows art, probably knows the truth." 7) "An Ideal Transaction: A pessimist creates an art, An optimist buys it." 8) "Art originates on its own at all those places, where the vibes need to be reset." 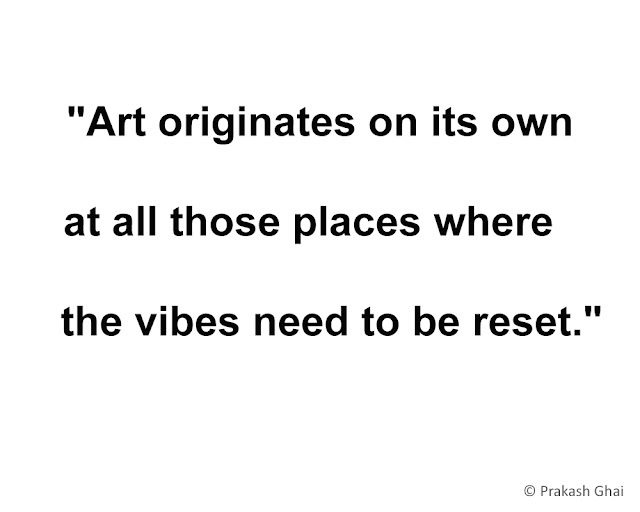 9) "Every piece of art is a message, from the sub-conscious to the sub-conscious." 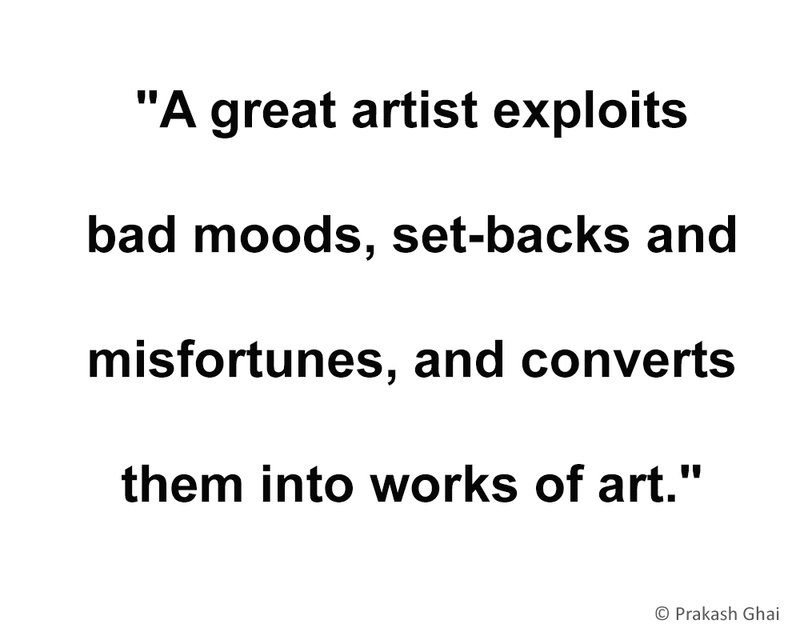 10) "A great artist exploits bad moods, set-backs and misfortunes, and converts them into works of art." 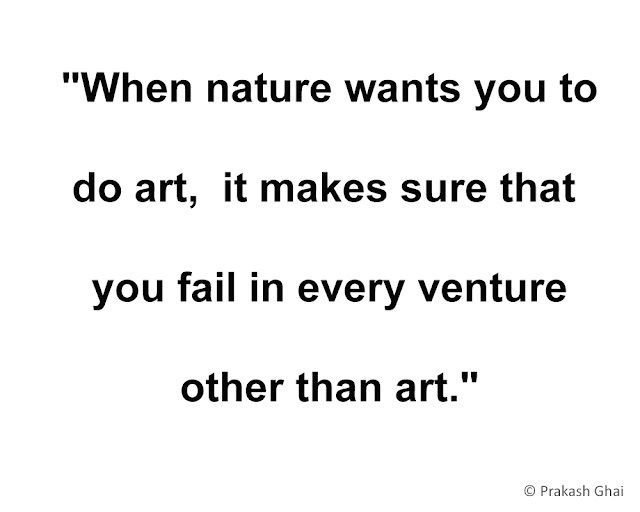 11) "When nature wants you to do art, it makes sure that you fail in every venture, other than art." 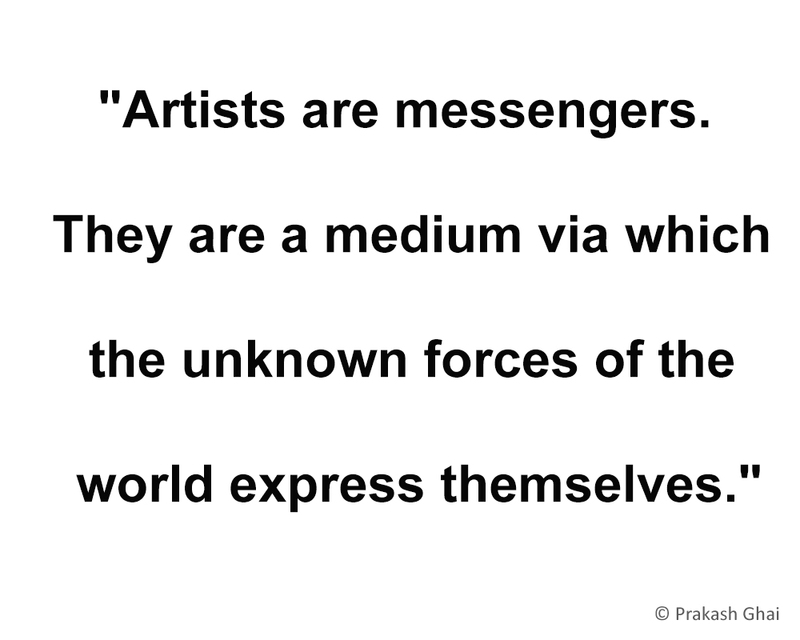 12) "Artists are messengers. 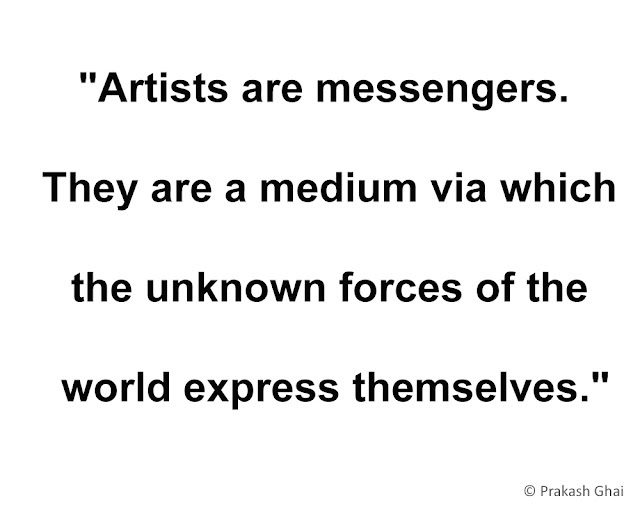 They are a medium via which the unknown forces of the world express themselves." Hope you like the quotes. Feel free to share them with appropriate credit. Sometimes, you are in a phase of life, where you feel very low on self esteem and confidence. Also you begin to think that, all is very gloomy and life is kind of over. You draw conclusions way too early and talk of completely giving up without realizing, that this is just a phase of life. I have met many people who talk or assume the same, most of them in their mid-thirties. I would say such phases of life come and go. Life overall, is a combination of ups and downs and in the long run everyone experiences roughly the same joys and sorrow, only the form of in which they occur or are experienced might be different and therefore people do not realize it. When some people face difficult times, they tend to forget about their strong and positive points. There is a saying which goes "This too shall pass" and trust me it eventually does, all that one need to do is to have patience and some hope to sail through. The photo above depicts a similar sort of a phase, where the un-rusted iron chain (which believes it too has got rusted) or that mid-thirties person, has forgotten that he is capable enough to sail through bad times. The rust in the background or the negative circumstances has overwhelmed him. Well, lets get back with the composition now. 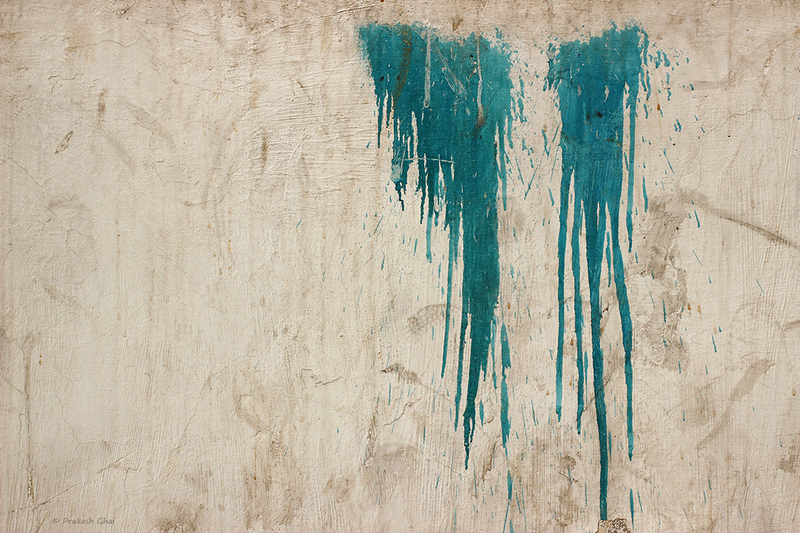 It is fairly easy to comprehend that this is Minimalism as Less Elements with just two main elements in the frame. 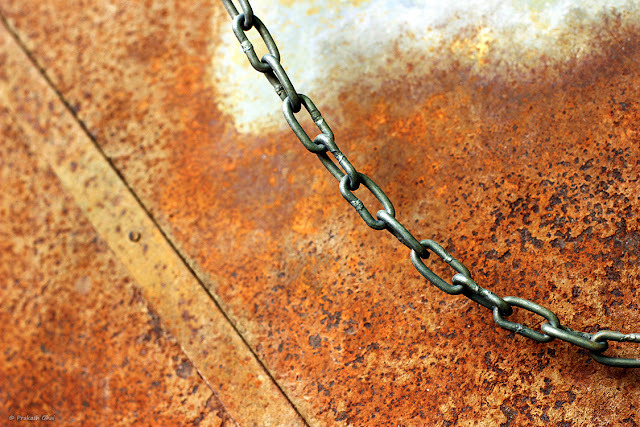 One being the chain and the other, the textured rusty metal background. For the ones interested in the technicals, here is the EXIF data. Hope you enjoyed the photo. Feel free to share this via one of the social media sharing buttons on the left. With this Grainy Minimalist Photo I want to make a point. But first, let me Ask you a Question. Tell me, Why any artist who paints or draws anything is acceptable art? 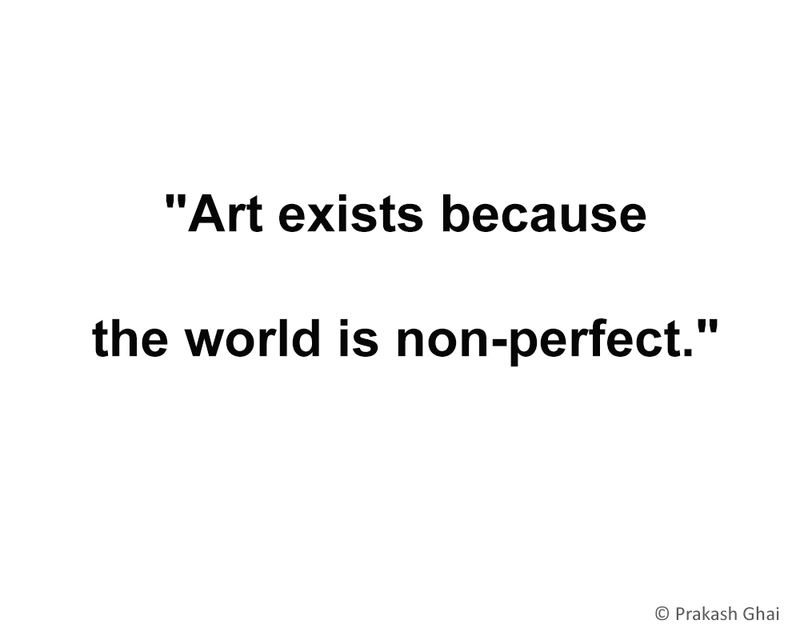 Whereas, If a Photographer experiments too much and crosses certain technical boundaries, then his work becomes unacceptable and it is quickly disregarded by people? Why the bias? Isn't Photography Art too? Isn't the Man/Woman behind the camera, an artist as well? 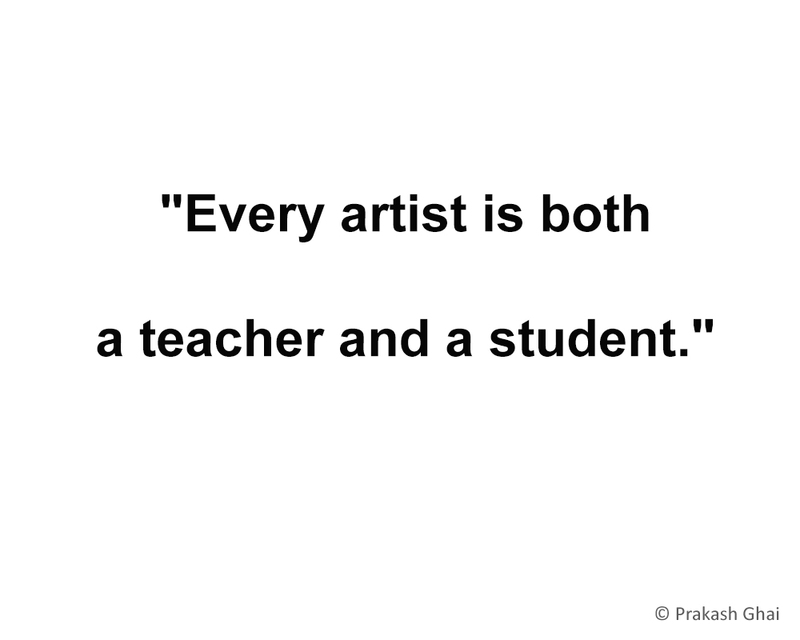 An artist can doodle, make a collage, scribble, produce abstract artworks or do what ever he or she likes, But a photographer has to follow certain rules or else people start saying things like "This is not Photography." Most leading magazines, photography competitions, stock photography websites, mostly do not accept photos that have grain, blur and other technical errors in them, whether on purpose or not on purpose. My question is, why not? Sometimes with grains and blur the photos look brilliant but since they do not fall under the technical bracket of "right photography", either such photos get mostly rejected by the Top Photographers/Editors etc. or the photographer himself deletes them, and later never produce newer ones. What most Top Magazine Editors/Stock Photography site/Photography Jury/Mentors always select and promote is the same old Landscape pictures that include waterfalls, sunsets etc. HOW BORING is that? where is the variety? There isn't any. So, The million dollar question then is "Why is Photography mostly judged on the technical aspects rather than the artistic aspects?" For example, In photography it is generally recommended that one should almost never take a shot above the ISO setting range of 400-800 in a Crop Sensor camera. If there is low light and if you don't have an expensive camera that gives less grain on high ISO setting, then you lose the shot. Photographers miss many great compositions because of this. They know even if they take the shot at a high ISO setting to capture the composition, everyone's first reaction would be "No, the ISO is too high. so many grains in the photo, forget about the composition, the shot is over." Then to follow up, they end up recommending you a high priced full-frame camera which might eat up an entire year of your savings. My problem is with their reaction. Their ideal reaction should be "Wow, what a lovely composition. Forget about the grains. Composition rules, you have a great vision. Well done." But, this never happens. So what I have personally noticed is that the photographers who can afford the expensive cameras, always tend to suppress the creative photographers who can compose good shots but do not have the resources to upgrade to better cameras. The de-motivation eventually pushes the creative photographer out and that is the reason we keep seeing sunset, sunrises, mountains, waterfall photos over and over and over again. Anyways, this could go on and on but by now, I am sure you understood the point I wanted to make. The shot is Minimalism as Less Elements The only subject here is the white arcs in repetition. The grains add the artistic touch to the photo and that is the highlight of the shot. Without the grains, the photo loses most of its appeal. I had this shot in my PC for over 1 and a half years, but I never posted it on my website/blog because it had grains, I too was not sure of it initially. I kept the shot saved because I believed the composition was decent. Now, when I looked at it today, I felt like posting this and making a point. To concluded I would say "Art is art, the medium can be anything and people should value the photographers expression and vision." Grains are Good - Happy Clicking ! Note: If you have some grainy shots be it Minimal or be it whatever, just post them in the comments. Share your creativity. I focused on the pipe and therefore you can see some blur on the left. If you want everything in focus from left to right and the pipe as well, then use a high aperture number probably like F11 and accordingly adjust the rest of your camera settings. I was very close to the subject and to get your photos to be decently sharp and clear, shooting them from a closer range is a must. Pro Tip: Avoid Zoom Lenses and Prefer the Prime ones. As you can see a lot of empty space has been added on the left. Empty space is very useful, especially if you want to use/license such photos for commercial use. Lets say, there is a XyzPipes company out there. They would love to have this as background for their print ads or PowerPoint presentation. There is ample copy space to write about the company or its product's information. Similarly, ad agencies would love to hire photographers who could shoot such photos for them. Imagine, there is a new clothing line and instead of the pipe there is a model in a red gown standing there. And you have the beautiful brown textured Indian wall on the left for a write up. Wouldn't that be interesting for an advertisement? Next time, you are in talks with a client for a product shoot, tell them that you could shoot something similar for them i.e a Minimalistic photo-shoot with lots of Negative Space. You never know, maybe they love the idea and you get that long awaited conversion. Now lets get to the SEO Tips part. 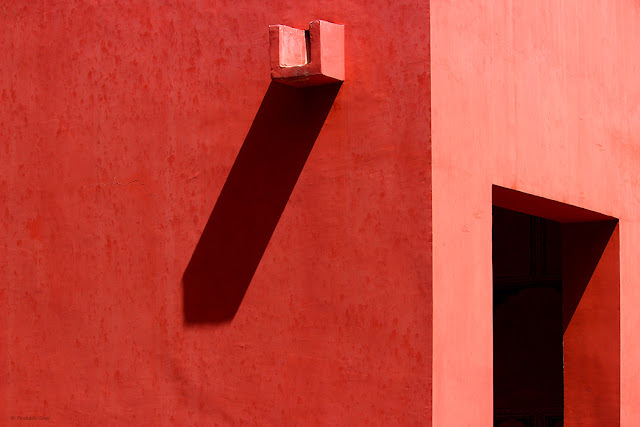 After my previous post "Open Door and Water Outlet on a Red Wall", which too had some SEO information, I finalized on my new posting structure. i.e Photo First and Detailed Information under it. 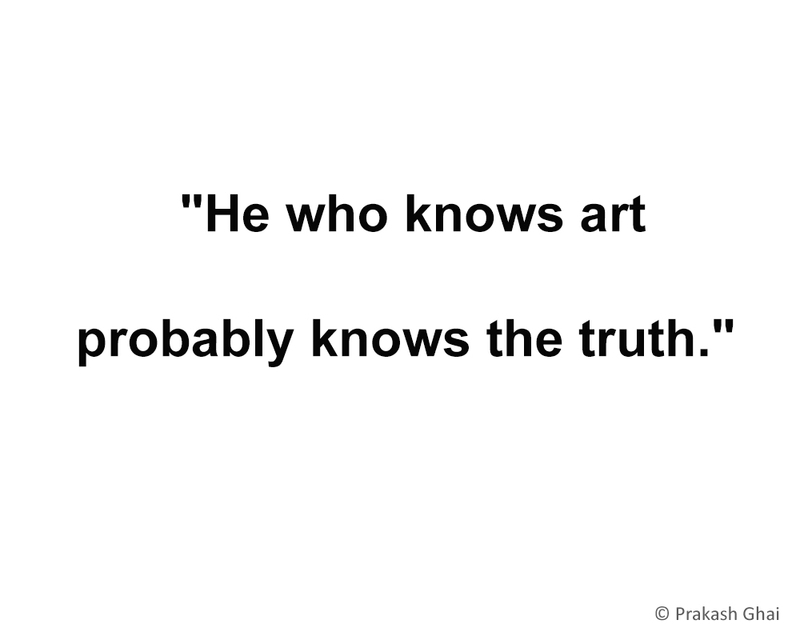 a) The Title of the post was not an Art Title, like I generally keep in most of my posts. It was SEO optimized. Both of these experiments were done to find out If I could get more traffic than usual, to the post. The results were good and Yes, I did get that extra traffic, that I was looking for. Point a) explanation: When the title of the post is SEO (Search Engine Optimization) optimized, your post ranks higher for those keywords. Yes, it is that simple. But also make sure that you use the same keywords in the labels section of the post and in the file name of the photo you upload. Another good practice is to get all your individual post links crawled by Google's robots. This can be achieved by submitting them in the Google Webmasters Tool, under the "Fetch as Google" head. Point b) explanation: Keeping the photo first, really helps in the voting that happens for a photo or article on StumbleUpon. I always submit each of my posts to it. StumbleUpon is the best social bookmarking site in the world and it sends you tons of traffic, if you use it the right way. If you have a website/blog, do open a StumbleUpon account and submit your content. I would also like to caution you. Don't just submit your own content all the time, or else you will be banned. Be a genuine user. Add articles that you generally like on the web and arrange them by creating topic wise lists. Like or dislike others content while you Stumble and that's it, you're done. Now-a-days, I deviate a lot from the central point or the photography in my posts. I tend to talk more of SEO or Search Engine Optimization. You must be wondering why such an emphasis on it. The answer is, that you can shoot the most wonderful photo in the world or write the most brilliant of all articles but, if that post does not reach the right audience and the right quantity of audience in numbers, then that post/photo/article might just end up going un-noticed. 5 minutes back, I was on the phone with another Photographer friend of mine and we were debating something similar. Whether to write long articles or not, or just to focus on clicking good photos. We realized that both of us are Photographers and NOT writers. My friend's latest blog post contains, merely one line of description. Well, that is his style. And I appreciate it. But Internet and SEO work very differently. You have to have long write ups with photos, for your work to get noticed by search engines. In Short, If you have a blog/website, you must write at least one long post a week for it to get indexed properly by search engines. Do not forget to include photos. If you are not a good photographer, you can license some photos from Shutterstock. To conclude, I would say shooting minimalist photos is fine, less is more is fine, but when it comes to getting your website/blog out there to be seen by others, you have to follow a maximalist approach. Labels: Learn Minimalism, Less Elements, Light and Shadow Photography, Minimal Art Photography, Minimalist Photos, Outdoor Photos, Plastic Pipe Shadow, SEO Tips, Shutterstock, StumbleUpon, Textured Brown Indian Wall. These days I am on the hunt for better SEO techniques. I read quite a few articles on it in the past, and I was enjoying a decent page 2 google ranking of my website for the term "Minimalist Photography". Not only that, about 30-40 images from my website were appearing in the google image search index for the same term. But, the benefits of the major part of my self-taught SEO work(which took me about a couple of years to master), was lost in a week. The reason being, I switched my website's URL to a global TLD or Top-Level Domain Name. A TLD is basically ".com" domain name. I was earlier using Google's blogspot sub-domain i.e prakashghai.blogspot.in and that was not allowing me to target my website to international audience. The .in extension and the .blogspot subdomain both were stopping me. Another reason for which I switched over to www.PrakashGhai.com was, that it was a shorter and simpler name to remember. Well, after the domain name and re-optimization of my website for SEO, I realized that I was making another big mistake. 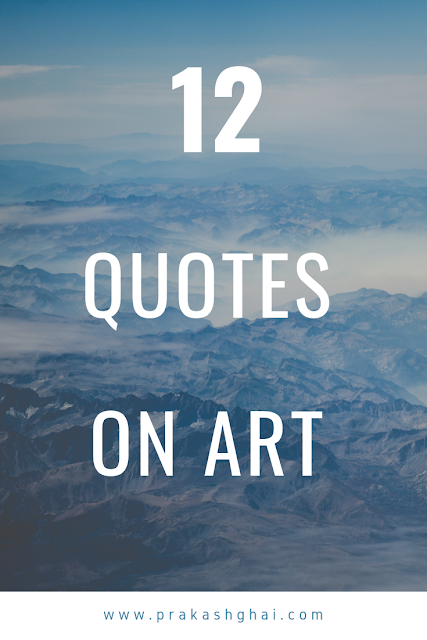 Since, I am an artist, I title most of my posts with an artistic title(followed by an artistic write-up for each post) and post a subheading like "Minimalism as Simple Geometry". But that is not what I should be doing. The heading of my post should be SEO Optimized and should contain keywords relating to minimalism and the content in the photo. 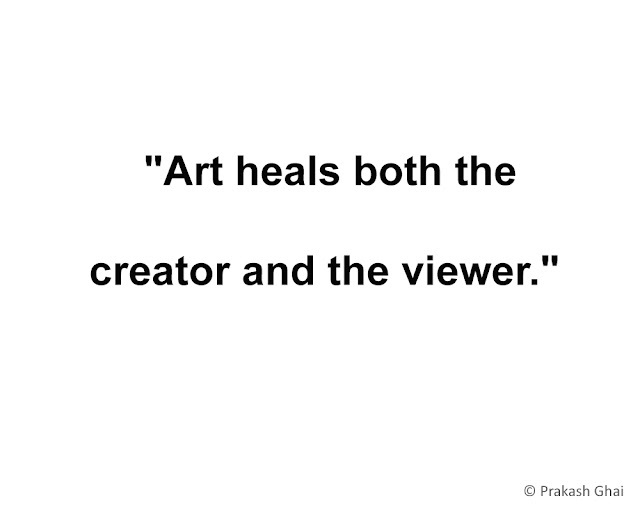 See this post, for example An Artists Dilemma , The title of the post has nothing to do with the Photo and the Heading does not correlate with the Subheading (Minimalism as Simple Geometry). Therefore, I am doing this post as an experiment, with an SEO Optimized title, to see if I get better traffic on it compared to my earlier post. But, since it is a learning website, I would like to retain the Sub-Heading style which categories each photo under the Types of Minimalism. I realize that I cant keep doing everything for SEO and page ranking. I am a photographer at my core. But here is the thing that a SEO savvy friend of mine told me. "If you have a website, better do the SEO, otherwise there is no point having a website." This brings Photographers to trouble. Already photography doesn't pay well and on top of that one must have a website, should know SEO and have good command over English language and be good at editing, promote himself/herself on various social media channels and what not. The costs and the efforts that go in, are huge. I personally believe that If I would have put the same level of effort in some other business idea, maybe, I would have been making lots of dollars. When we talk of dollars, it is really difficult to make some via photography. If you are good at wedding photo-shoots, product photography or lets say even fashion photography, then all is OK. But, if you are like me and you do photography for self-expression, self healing and for the sake of art and dislike commercial work because there, you cannot fully express yourself, then you are in trouble just like me. I have denied many commercial shoots, for I just don't feel comfortable enough doing them. I don't want my creative wings clipped, even for money. On the other hand, I want that I should also be able to sell my photos and finance my camera updates and travel expenditure via photo sales. So, what are my options to do so. Well, below is a list of places where I have uploaded most of my work for sales. And I am selling photos profitably now, although the sales fluctuate a lot. But recently I also joined ShutterStock. 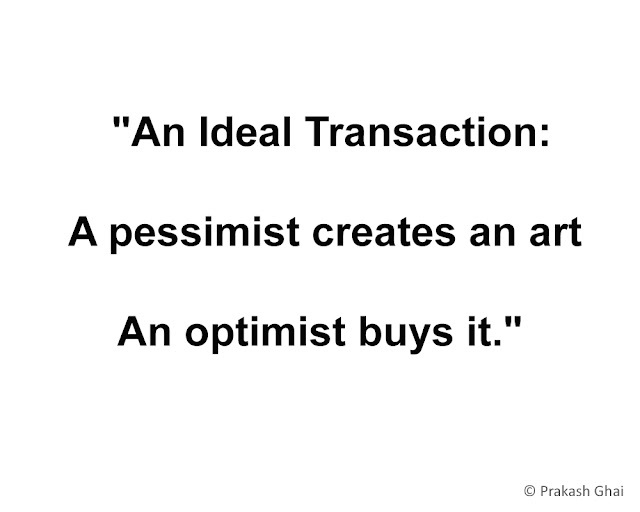 They already have a good customer/buyer base. Their website is ranked in the Top 300 websites of the world (source: Alexa.com). Shutterstock is a stock photography website where you can upload your photos and let buyers use them for commercial use a license. Everytime there is a download of your photo, you get paid. I uploaded 21 images on it and in just 3 days, I already have decent downloads/sales. You too can become a contributor at Shutterstock and start making some money via your photos. Sign-up for a Shutterstck account here: Shutterstock Contributor (disclosure: affiliate link) The best part is that the photographer still retains the copyright. Once you are approved and your account is active. You too will be given a Referral Link/Affiliate link to share with your friends, just like the one I gave you above. Every time there is a download of a photo from a person's account whom you referred, Shutterstock pays gives you a cut. If, you are not a photographer but you are interested in licensing photos for commercial use, then Shutterstock is a great resource. Click here: Shutterstock.com (Affiliate link) to explore the works of a bunch of talented people. Another good thing about the site is that, they also accept and sell, vectors, illustrations, abstracts, video clips etc. Well, this ended being a long post. I wanted to share the SEO and Shutterstock experience with you all, so you too can benefit from it. I also wanted to tell you how difficult it is being a photographer. It is loads of hard-work. One needs to do so much day in and day out. I was earlier into the corporate world(but now I am in family business), and trust me photography is as tough as slogging in day-in day-out in a target based bank sales job. The only difference is, that in a sales job you still make decent money, but feel enslaved. In Photography, you feel good within but make significantly less amount of money(of-course exceptions are there.). Finally, lets get back to the photo. The photo is a colored version of my previous post "An artists Dilemma" as I mentioned in the beginning of the post. I actually wanted to post something on Shutterstock and was feeling a bit lazy. Sso I picked up an old photo and edited it. Last time I could not get the Red, to look like the Red I wanted to show. Therefore, I had turned the photo to black and white last time. I have written many times before, that it is not easy to show red as the actual red you see on a wall, via your camera. Maybe it is specific to my camera, maybe not. I face no difficultly in editing other colors by the way. If you have some tutorial articles on SEO, then please share them with me under this post. Also share your success of making money with photography. It will be of great use to the readers and photographers in general. Remember: "Success is sweeter when it is shared." I am pretty real, open and frank with all my work and photos and I expect to find and stumble upon similar humans.